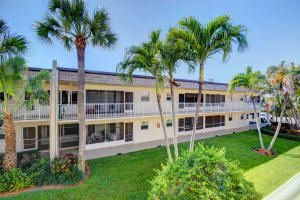 Quaint 2/2 condo near intracoastal waterways. Kitchen updated with quartz countertops and stainless steel appliances, laminate wood flooring throughout, screened in patio. Furniture is being left for convenience of Seller. Clean, well maintained. Ready for new owner to begin enjoying the advantages of living near our beautiful waterways.